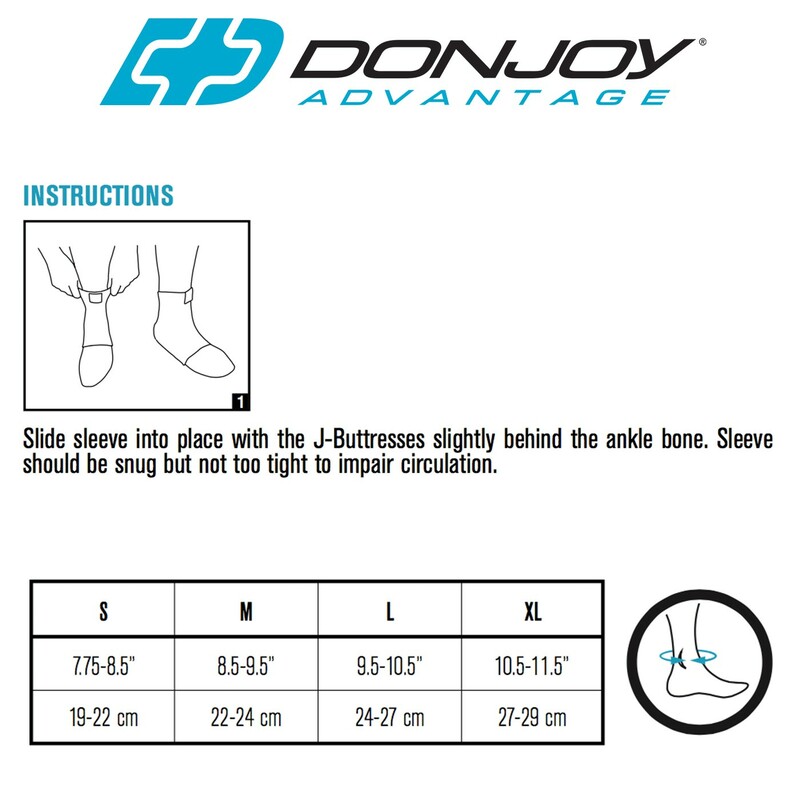 The DonJoy Advantage Deluxe Elastic Ankle is a lightweight, low-profile ankle sleeve to relieve pain associated with sprains and strains, swelling or arthritis. 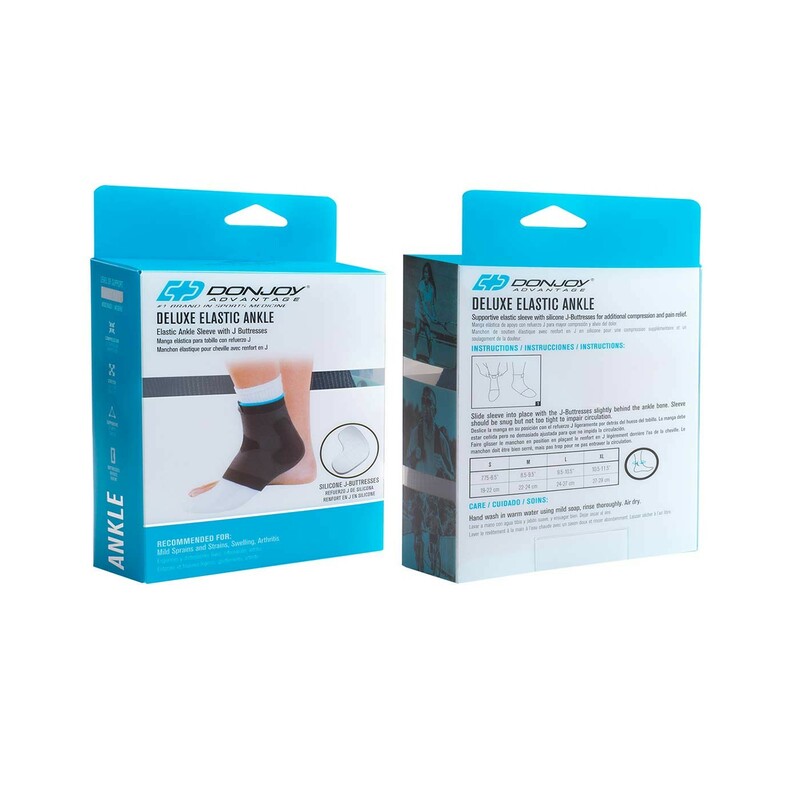 Constructed with breathable, elastic knit material, this ankle sleeve provides compression to help ease pain, reduce swelling, and keep your ankle supported-without any range of motion restriction. 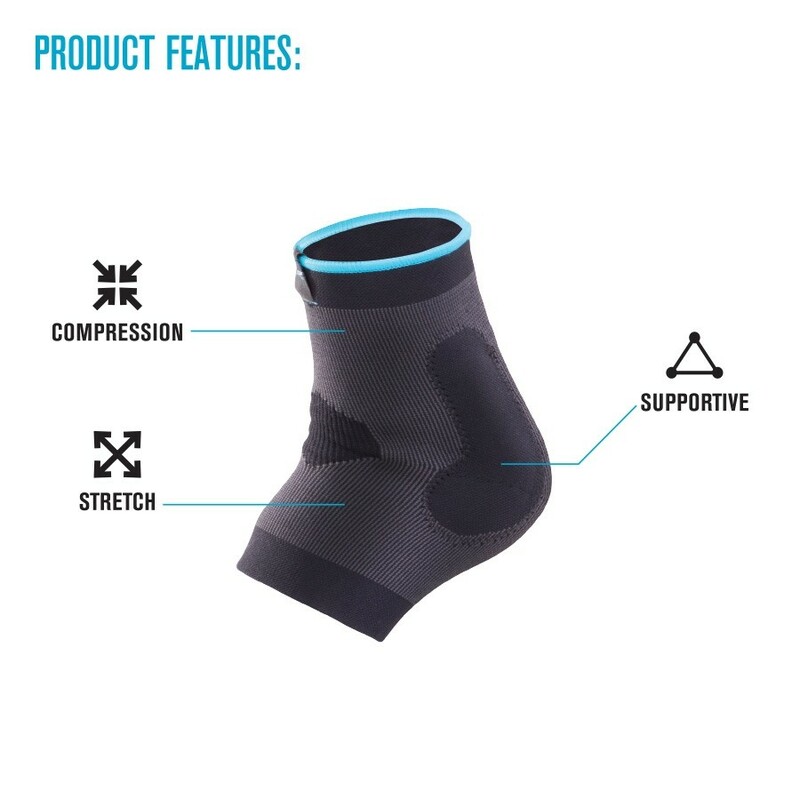 It's dual silicone J-buttresses deliver targeted compression to the ankle joint. 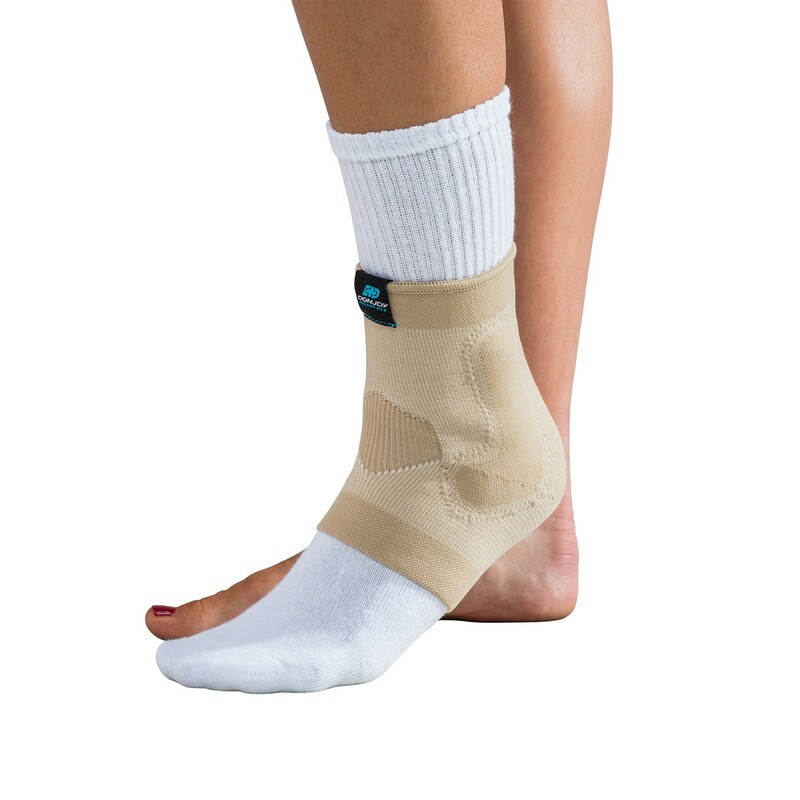 Easy to put on, the Deluxe Elastic Ankle can be worn with most shoes and fits on the left or right ankle. 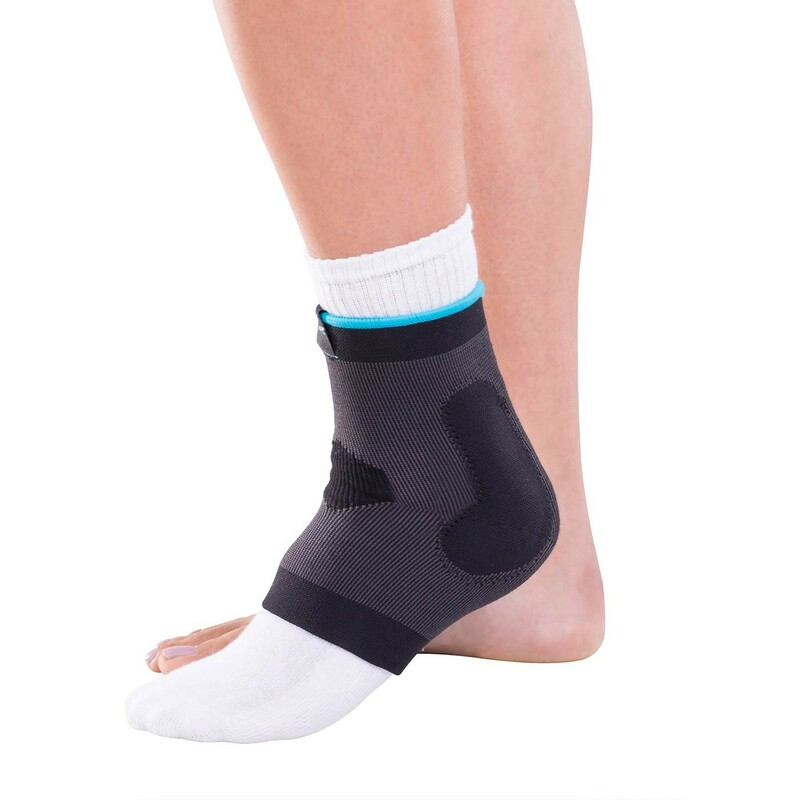 Size is based on the circumference of your ankle; measure just above the ankle bone.